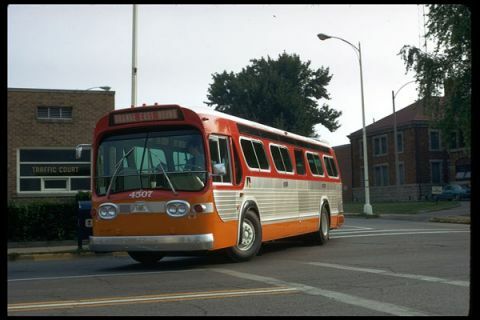 CUMTD #4507 turning onto Broadway in Downtown Urbana in August, 1971. Photograph taken by A.J. Reinschmidt.